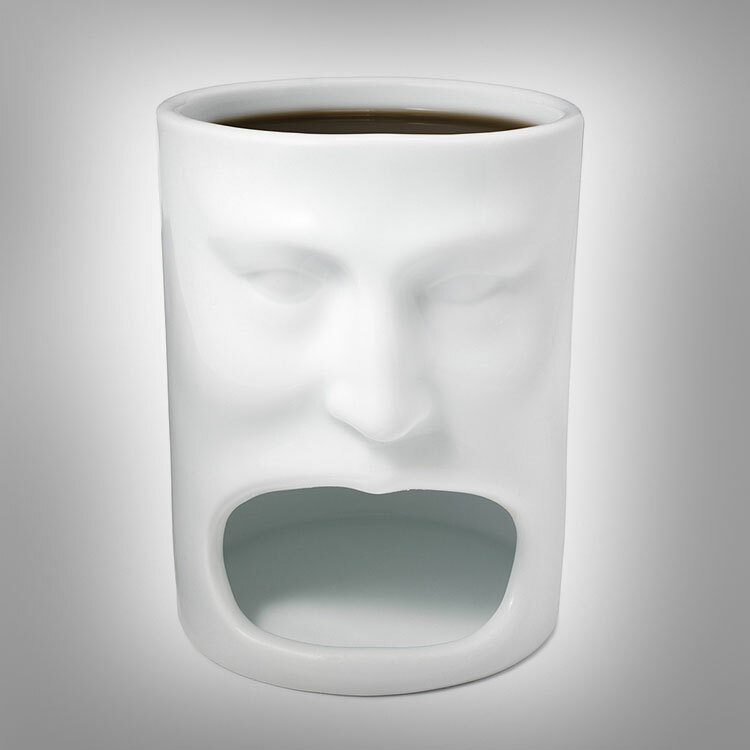 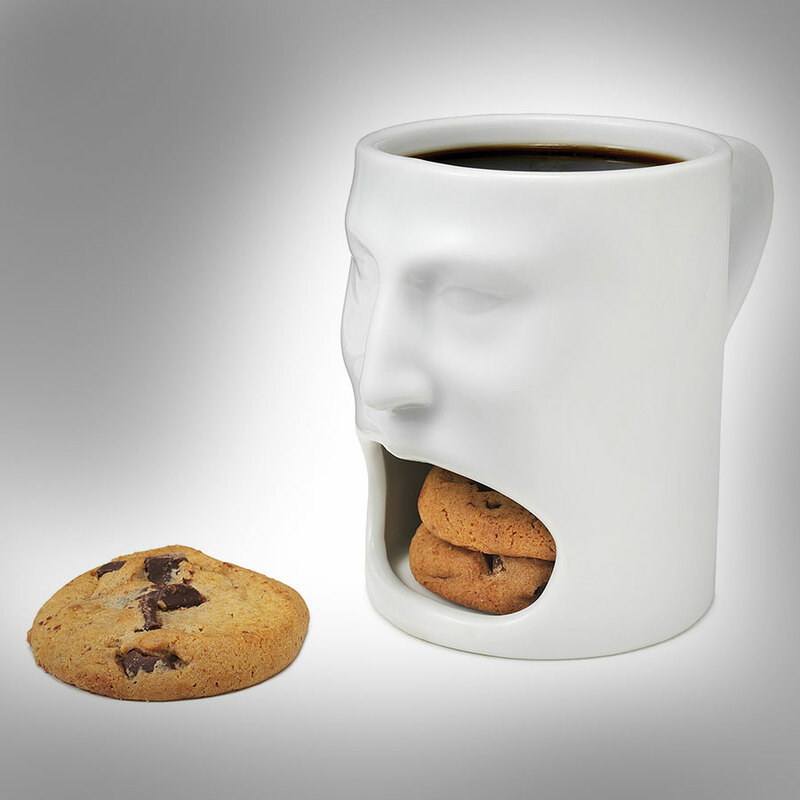 The cookie face mug is a coffee mug that looks like a face with an open mouth where you can store your cookies, since like you and most other fatties need a load of cookies to start each day off right. The cookie face mug is great gift for your fat office co-worker, your overweight relative, or your chubby friend that just loves dipping their sweaty sausage fingers into their coffee along with a nice big chunk of cookie. 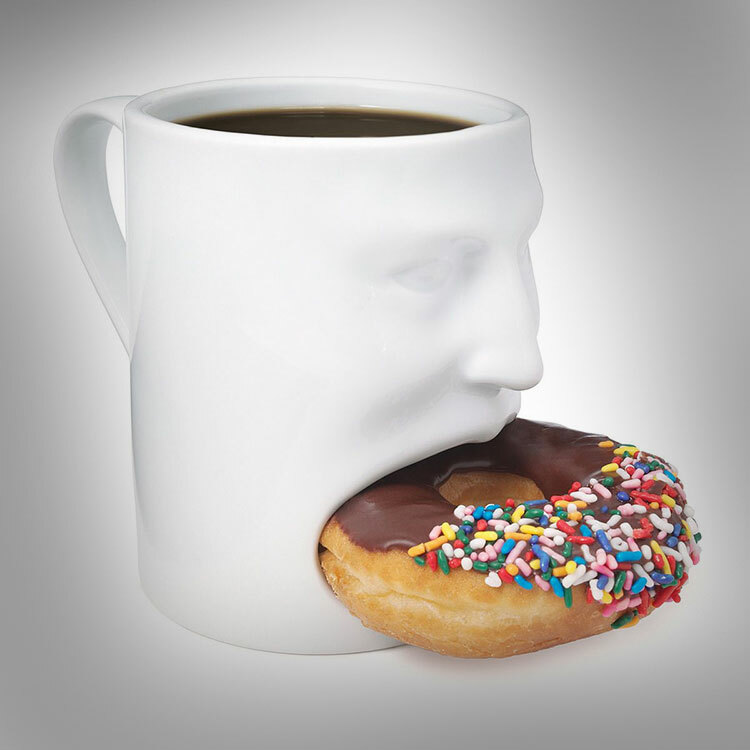 The cookie holding face mug is made of porcelain, and is great for holding cookies, doughnuts, brownies, or biscuits.